So, you've lost your job. At this point you're pretty much hoping that either the ground will swallow you up or that you'll wake up in a minute and realise that it's all just a very bad dream. When you lose your job, for whatever reason, under whatever circumstances it is inevitable that you are going to feel at your worst. Especially if you have a rent or mortgage to pay. Having recently gone through this myself I'm here with a few suggestions as to what you need to do now. Harsh? Maybe. It doesn't mean to be, but when you are sat in "that" meeting with "that" letter sat in front of you and your now ex-boss sat across from you seemingly waiting for you to break down in tears and beg them for forgiveness, it is the first thing you have to do. In that one moment where your life goes from "food in my belly and a license on my telly" to "sod the license....will I be able to eat tomorrow?!" you have to find the fight to walk out of that room with dignity and not lose your cool. 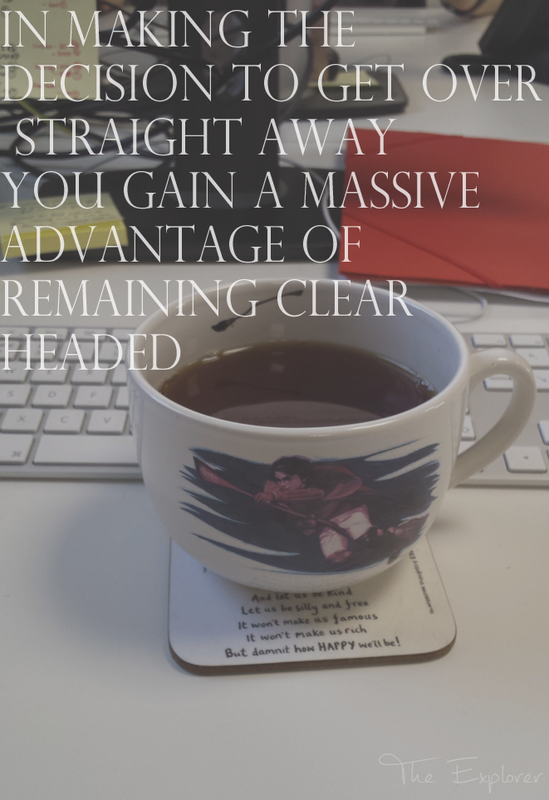 In making the decision to get over it straight away you gain a massive advantage of remaining clear headed. You can make sensible decisions and formulate a plan on how you are going to walk out of the building/survive the next week working with them without breaking down and making decisions you'll later regret. 2.) Take a moment to plan your next move. This part is the scariest. Suddenly your brain throws up the seemingly simple question of "What now?". In all honesty, Brain, I have no answer. This is so situational dependent. If you need to pay the bills, rent/mortgage or have dependants like children you are probably going to need to get straight on applying for jobs. If you have a little financial leeway then you have the perfect opportunity to sit down and figure it all out. Take time to look at what you want out of life, do you want a career or are you happy just having a job? Do you want to live where you are or do you want to centre your next move around making a move? Do you want to jump straight back into a serious job or would you like to slow things down a bit and give your hard working brain a little more space to think about that novel that you've really been wanting to start work on? Either way, sit down and talk it out with someone. Figure out what you want and what you can afford to do. Sometimes life throws us these times to give us a moment of clarity and space to figure out what we need. 3.) Now you may cry/get drunk/have a pity party/develop a war room with conspiracies and actual plans of destruction. Pretty much self explanatory really. Let yourself have 5 minutes and truly get it out of your system. 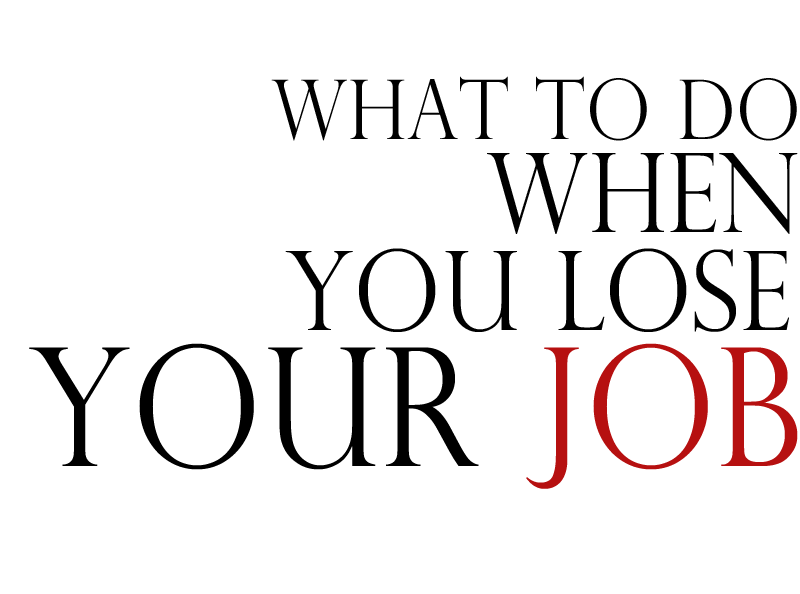 Chances are that you lost your job on a Friday afternoon? If that's the case then use the weekend to blow off a little steam and really let it go because chances are this will turn into a very long headache for you before too long and you won't feel up to letting off your steam then. Now that you've decided on your next move, and you've given yourself the opportunity to get any negativity out of your system, get bloody well doing. Do NOT turn on the TV, do NOT open a tab for Facebook/Twitter/Bloglovin'/Pinterest, do NOT procrastinate. This is not an opportunity for you to rest on your laurels; get your arse moving. Even if you are not jumping straight back into work keeping yourself busy and putting plans in action is the only way you are going to shake off the fact that you are now unemployed. If you are applying for jobs you're going to need an action plan. 5.) Remember what life is all about. Ultimately, life is what you make of it. It is short. Very short, and it's a precarious balancing act of doing the right thing and doing what you want to make yourself the happiest you can be. Money may suddenly have become tight but don't make that mean you can't live. Avoid demoralisation at all costs because that little monster grabs you and drags you down quickly. Don't dwell on the situation, make yourself so busy rectifying it that you don't have time to dwell on it. Life is an adventure and this is just one of its curve balls. You'll get through it, you'll come out stronger, and you'll have learned a few lessons along the way. 6.) Don't hate on your Ex-employer. This is possibly the hardest thing to do. You are in this situation because someone, somewhere in your last place of work made the decision you weren't needed, or wanted, any more. That hurts. It hurts your pride, your ego, your confidence, and, more often than not, your feelings. But here's the thing; it's not personal. The likelihood is that your are in this situation because there are financial issues, or you and the business don't fit together. Either way, that is not your fault, nor is it theirs. If there are financial issues that is what it is, nothing can be done to change it. Money makes the world go round, my friend, and its a corrupt little beast that will drop you from a height whenever it can. If it was a compatibility issue DO NOT beat yourself up about it. No amount of If-I-could-just-have's or I-should-have's would have worked. Incompatibility is just a fact of life. It is no one's fault and to a certain extent you just have to get over it.The thing you have to remember is that your employer took you on, so at some point they saw a quality in you. 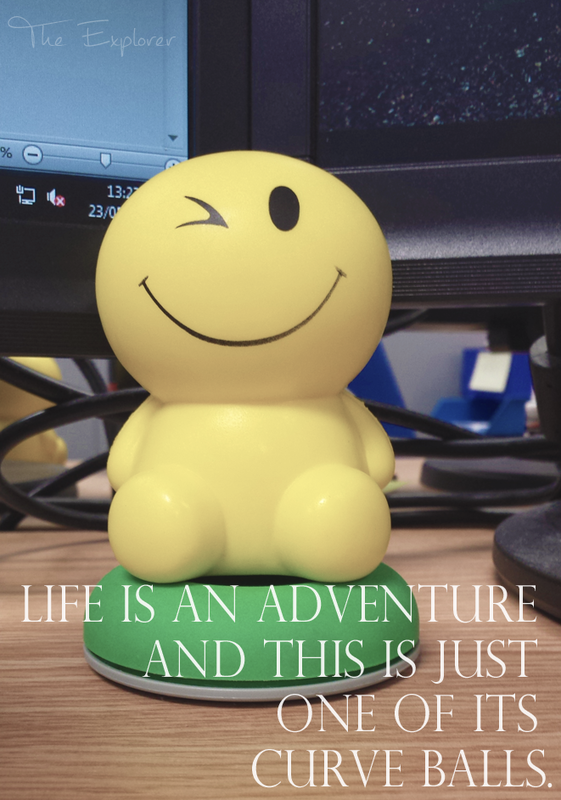 When you start a new job it isn't just them taking a chance on you, you're taking a chance on them too.......ever had a job that you started and within a month you were looking for a new one? It's just like that but with the tables turned. Be grateful for the opportunity with them, you both tried it out and it didn't work. Harbour sour feelings if you want to but remember; these people give you references. Have you ever been in this situation, if so; how'd you deal with it?